As many of you may know already the reins of #WineChat are changing hands. I was approached by Marie Payton [Life of Vines] via email, a couple of weeks ago and asked if I was perhaps interested in the opportunity to fill-her-shoes. I wanted to take some time to think it over but, I'll be honest I was quite interested in the opportunity and so here we are. But before I say anything else, I wanted to say to Marie and her co-host Mr. Dave Reynolds you created something amazing in developing #WineChat making it a force for good in the wine community and, for that I say thank-you! Seeing the need to have some assistance with the effort, I reached out to Protocol Wine Studio's dynamic duo, Eric Guy and Tina Morey. This is a team many of you know already, from our Monday evening #WineStudio events, the free online curriculum-based wine education & tasting program and, that will not change. 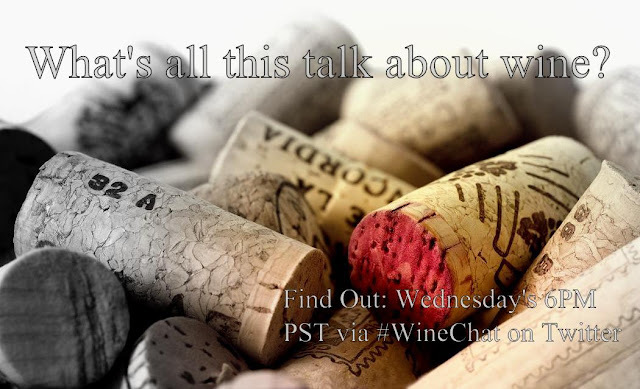 So as a way of introducing the new #WineChat team, this Wednesday 03/27/2013] it will be an introductory evening, getting to know the new team and, to learn more about continuing the conversation. Many folks ask me, hey Bill what is in it for you or they may wonder about my motivations moving forward? As for me, my answer is simple; my mission is to provide vino-sapiens every where with current, objective, easily digested content and hopefully even entertainment about the wonderful world of wine and to provide a place for continued discovery and exploration. So if any of you have questions and/or concerns about big changes possibly coming to #WineChat I can say feel rest assured there are no change big format changes in the wind. Will we endeavor to improve upon what has been built thus far and hopefully continue to build upon the great relationships that have been built over the last couple of years. So if you're interested in what lies ahead for #WineChat, stay tuned and please join us this Wednesday evening as Tina, Eric and I along with all of you discuss its future. Until next time folks slurp long and prosper cheers! Will you be posting a schedule of topics here going forward? I would like to bring your attention to a video streaming event that I have arranged with Randall Grahm of Bonny Doon fame. It will happen next Wednesday prior to #winechat and the more participants the more interesting these can be. Wino's get the chance to interact directly with one of wine's rockstars. Have a look here, I hope to announce it a bit tomorrow night during #winechat ~ like with your input on #winechat... there really isn't anything in doing this for me, but working with a new medium and a winemaker friend. Looking forward to seeing the new schedule and to participating as often as possible for the facts and the fun. Cheers!